Some things in life are more obvious than others, for some time I have been living in blissful ignorance about quite how many every day products are tested on animals. For the last couple of months I have been trying to transition all of my products over to cruelty free and vegan but it will take some time. 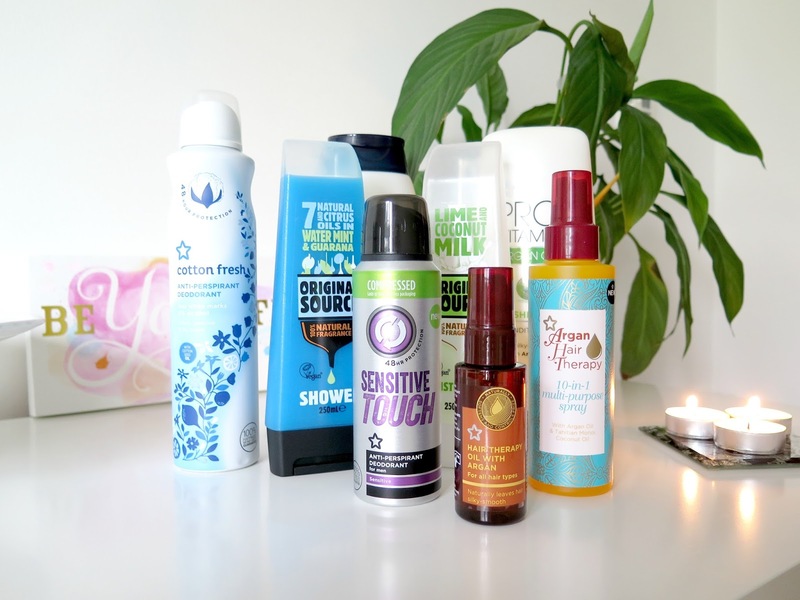 I don't believe in wasting products so I won't be throwing away bottles of things I already have in order to replace them with cruelty free items, what I have been doing is as things have been running out I have looked for vegan, cruelty free options to replace them with. This is breaking the task down into bite sized chunks, because finding alternatives for everything I used to love isn't the easiest thing I've ever done. Slowly I am getting there and I wanted to show the items I have changed over to so far. 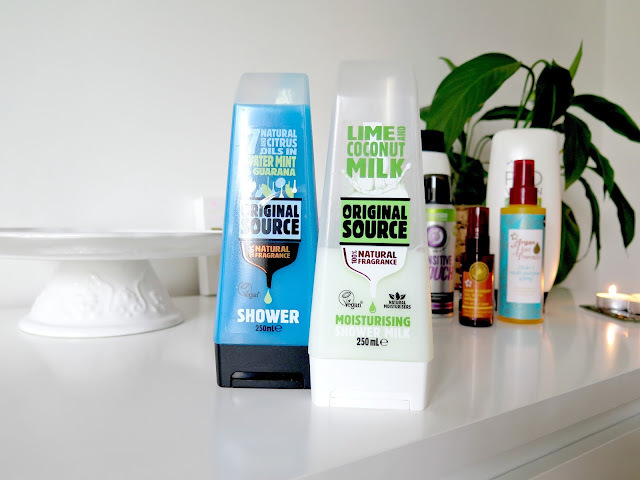 Shower gel or body wash is something we all use on a daily basis, I used to buy whatever was on special offer at the time. This was an easy swap for me because I already loved the Original Source shower gels and they are vegan, so rather than buying whats on special I just wait until the Original Source products are on offer and I stock up with plenty and it sees me through until they are on special again. Their fragrance range is really nice with plenty to suit men and women, I am always drawn to the creamy sweet smelling products and tend to buy the fresh ones for my boyfriend. 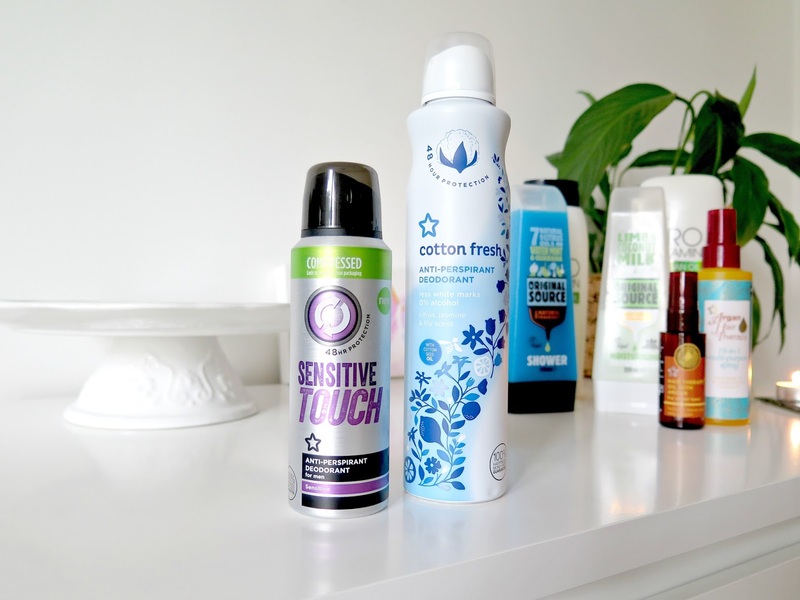 Deodorant is one of the most recent changes for myself and my partner, again I used to buy them when they were on a 3 for 2 deal which meant they would last me for ages. My favourite was Dove roll on because I loved the fragrances, but as Dove is owned by Unilever I knew it had to go. A friend mentioned that Superdrug are really good for cruelty free products so that was my first port of call. I checked the own brand roll on deodorants in superdrug and they didn't have the leaping bunny logo sadly but their aerosol versions did luckily. I am still keen on finding a cruelty free roll on as I find they last longer than sprays so if you have any suggestions I would love to hear them. I got the cotton fresh spray for myself, for some reason I can't find the one I got for my boyfriend on their website but they had a few available in store. Shampoo and conditioner was a difficult one for me as I have used Tresemme for years now and loved the huge bottles it came in because I get through it so fast due to having very long hair. I will continue to look for something I love but for the time being I have been using the superdrug Pro Vitamin with argan oil which is often on 2 for £3. 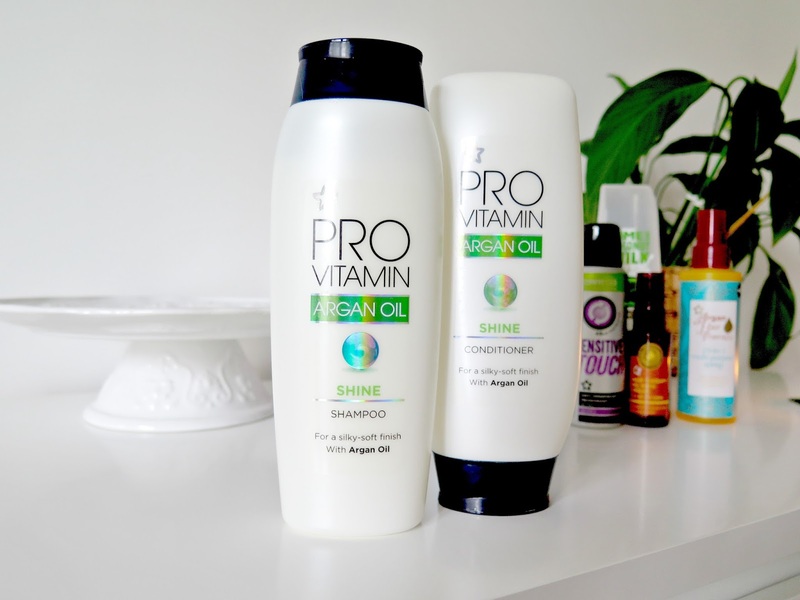 My hair gets quite dry so I wanted to find a hair oil to use as it makes a difference to the feel of my hair, luckily I found one that I love. I picked up the hair therapy with argan oil and I noticed the difference in the way my hair felt from the first use. My hair was smoother and silkier and didn't get so matted, this stuff was a god send! I have used quite a few hair oils over the years and I actually think this is my favourite which is great considering it's so affordable as well at £3.99. It smells amazing too which is an added bonus. 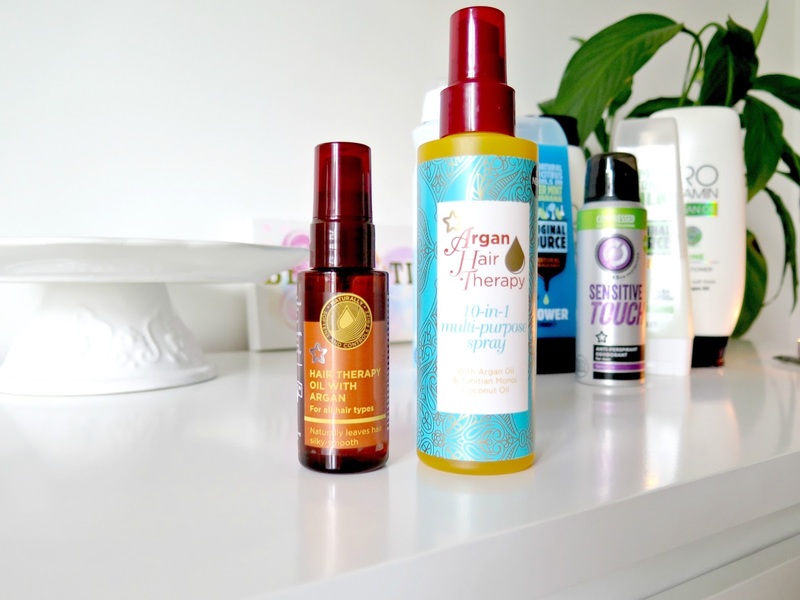 I find my hair can be a little difficult to comb when wet, it's super fine and gets tangled easily so I got the Argan hair therapy 10 in 1 mist to spray on damp hair before I attempt to comb it through and it seems to make the task a little easier. These are my current changes, I still have a lot of my garnier micellar water left for removing make-up but that will probably be one of the next things I will need to purchase, if you know of any good vegan replacements for it please let me know. With all of the big pizza chains now offering vegan options it was long overdue that Pizza Hut finally stepped into the 21st century and started offering vegan cheese. When I first heard about the launch of Pizza Hut offering Violife cheese I was intrigued, I had tried violife cheese way back when I first went vegan and wasn't that impressed. But I figured for a big chain like Pizza Hut to consider using it, they must have thought the flavour was realistic enough to fit in with their brand. Sadly Pizza Hut are only doing an initial trial with Violife in 5 of their restaurants, even more annoyingly they are all in the South of England and not very widely spread. The following stores are taking part in the trial until November 26th: Bluewater, Canterbury, Chatham, Crawley and Thanet. Lucky for me I don't live too far away from Bluewater so I knew that I wanted to try the vegan pizza and show support in the hopes that they will keep it on the menu. A few weeks ago we rocked up to Bluewater on a Monday night to sample the delights, you can swap the dairy cheese on any pizza for violife so it's a good option for people who are dairy free as well as vegans. I decided on the heavenly veg pizza which has black olives, cherry tomatoes, caramelised onions and rocket. Usually this pizza comes with goats cheese, so we swapped that out for the violife, then scuttled on over to the salad buffet to load up whilst waiting for our pizza to arrive. When the pizza arrived at our table I was so excited to try it, the cheese looked gooey and melty and slightly browned just like you would expect of dairy cheese. I dove straight in and stuffed a piece of the ooey gooeyness into my mouth and was totally amazed! The taste and texture of the melted violife was so good, I was totally in love. Since going vegan pizza isn't something I bother getting very often because lets be honest, pizza without cheese is like Christmas without presents. It's ok but not as fun. I have tried the offerings of Zizi and Ask who use Mozzarisella in replacement of Mozzarella cheese, and although it's nice it just doesn't have the stretch of firm feel of Mozzarella. I personally prefer the Violife on the Pizza Hut version, so much so we headed all the way back again this past weekend to have another pizza in case it disappears from the menu. Enjoying the pizza so much also encouraged me to give Violife another chance at home and I bought some and loved it way more than when I tried it nearly 3 years ago. I believe the recipe has changed since then because I thought it was a soya cheese but it's now made with a coconut oil base which may be the reason I prefer it now. I really hope Pizza Hut roll out Violife in all stores because I look forward to the day I can order it for home delivery on a saturday night and enjoy it in my pyjamas in front of the telly!